When designing a data center, several factors should be taken into consideration, including standards compliance. When implementing a structured cabling solution, the standard recommends a star topology architecture to achieve maximum network flexibility. TIA-942 outlines additional factors crucial to data center design, including recognized media, cable types, recommended distances, pathway and space considerations and redundancy. In addition to standards compliance, the need for infrastructure flexibility to accommodate future moves, adds and changes due to growth, new applications, data rates and technology advancements in system equipment must be considered. As data centers face the continued need to expand and grow, the fundamental concerns are constant. Data center infrastructures must provide reliability, flexibility and scalability in order to meet the ever-changing data center network. 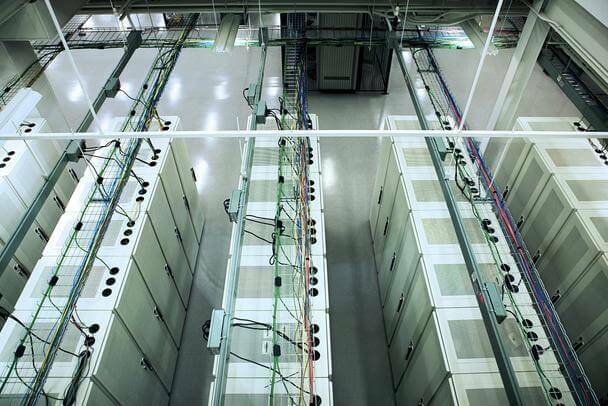 Reliability: Data center cabling infrastructures must provide security and enable 24 x 365 x 7 uptime. Tier 4 data centers have uptime requirements of 99.995 percent, less than one-half hour per year. Flexibility: With the constant in data centers being change, the cabling infrastructure must be modular to accommodate changing requirements and easy to manage and adjust for minimal downtime during moves, adds and changes. Scalability: Cabling infrastructures must support data center growth, both in addition of system electronics and increasing data rates to accommodate the need for more bandwidth. The infrastructure must be able to support existing serial duplex transmission and provide a clear migration path to future parallel optic transmission. In general, the infrastructure should be designed to meet the challenges of the data center over a 15- to 20-year service life.